Home to one of the world's most outstanding collections of modern art, the Centre du Pompidou is one of the most exciting museums in Paris. Located in the heart of the historic Marais, the Centre de Pompidou has been visited by over 150 million people since it opened in 1977. Your guide will take you through the most cutting edge exhibits in the art world today, explorations in color, materials, composition, sculpture and film. 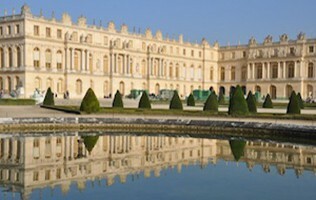 Legends like Dali, Kandinsky, Miroslav Tichy, and Sophie Calle have all been exhibited at the Centre de Pompidou. A perfect balance for those that are not interested in the overwhelming grandeur of the Louvre, the Centre Pompidou is still home to more than 600,000 works of art. Your tour of the Centre de Pompidou does more than just showcase the extraordinary modern art pieces housed there, it is also a study in architecture as they museum itself is a one-of-a-kind site to behold, designed to be ‘inside-out’. A real treat is in store for you once inside the museum, where you’ll be privy to one of the most enchanting panoramic views of Paris found anywhere in the city. 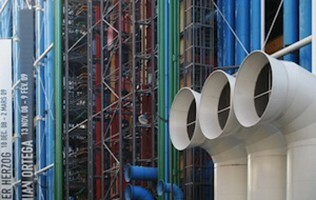 Explore the Pompidou with your own Exclusive Guide! 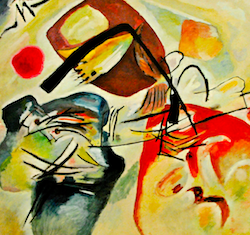 Explore works by Kandinsky, Matisse, Rothko, Pollock, and more! Are entry fees included on my Centre Pompidou Tour? Entry fees are not included with our Pompidou Tour. How much are the Pompidou entry fees? Entry fees are â‚¬13 per adult. Should I purchase my Pompidou entry ticket in advance? There is no need to do so. You will purchase your ticket(s) with your Pompidou tour guide on the day of your tour. What will I see on my Pompidou Tour? You will explore one of the most famous modern art museums in the world, and see inspired works by luminaries like Kandinsky, Picasso and so many more. How will I find my Pompidou Tour guide? Your guide for your Pompidou Tour will meet you at your predetermined spot â€“ usually right in your hotel lobby or outside your apartment. But of course, your meeting point is up to you! Absolutely. All of our guides are native, or nearly native, speakers of English. Our guides also speak French, Portuguese, German, and more so if you have a language preference, please do let us know and we will do our best to accommodate you.